In this review we feature the best Bluetooth patio speakers that you can use for your patio or backyard. These speakers come equipped with wireless Bluetooth streaming which enables you to play music directly from your smartphone device. 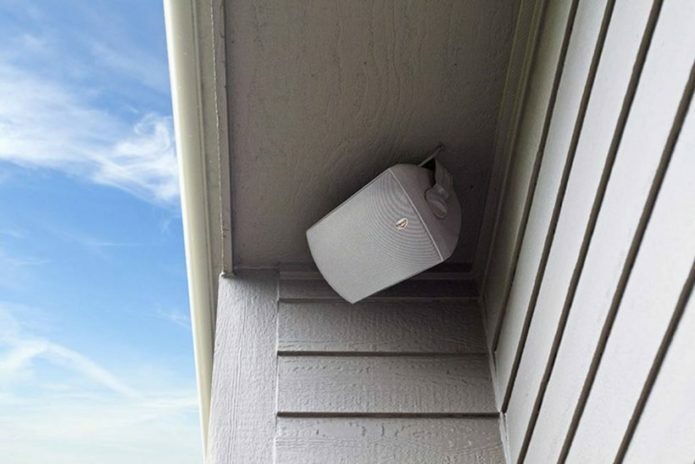 These patio speakers are built with high-quality materials and have a weatherproof design to resist rain and sunlight. They also come equipped with built-in amplifiers which help to power the speakers in outdoor open spaces. We liked the fact that these patio speakers are well-built and have a durable design cabinet; they are also relatively compact and can be easily installed or wall mounted on patios or decks. If you are looking for some of the best Bluetooth patio speakers with quality sound, be sure to check out our top picks below!